"Romeo and Juliet. Anthony and Cleopatra. History is filled with couples bound together forever in the social mind because of their undeniable and storied relationships. As it was with these others... so it is with Rhett and Scarlett. Indeed, to me, there has been no greater romance ever chronicled than that of the dashing hero and strong-willed heroine of Gone With The Wind. Perhaps it is the tragic backdrop of the Civil War that serves to enhance the emotional impact of this storied love affair. The ultimate triumph of the human spirit, so well displayed in the film's masterful conclusion kindles the romantic within me...as it can within you. 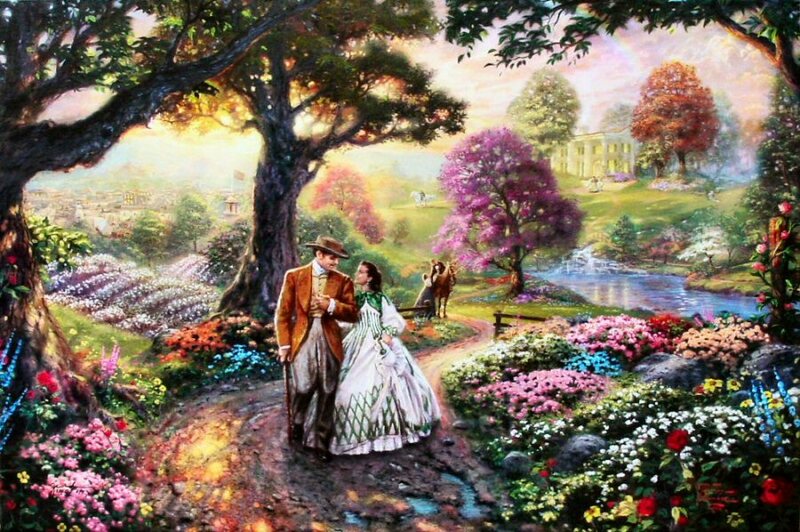 In my painting, Gone With The Wind, I wanted to capture the central romance, but also give a small taste of the gentile old south. Fragrant flowers and lush rolling hills surround Tara, the homestead of the O'Hara family, and serve as quiet sentinels to this way of life. My painting is populated with favorite film characters and rendered in small cinematic vignettes designed to capture all of the drama and nostalgia of this Hollywood spectacular. 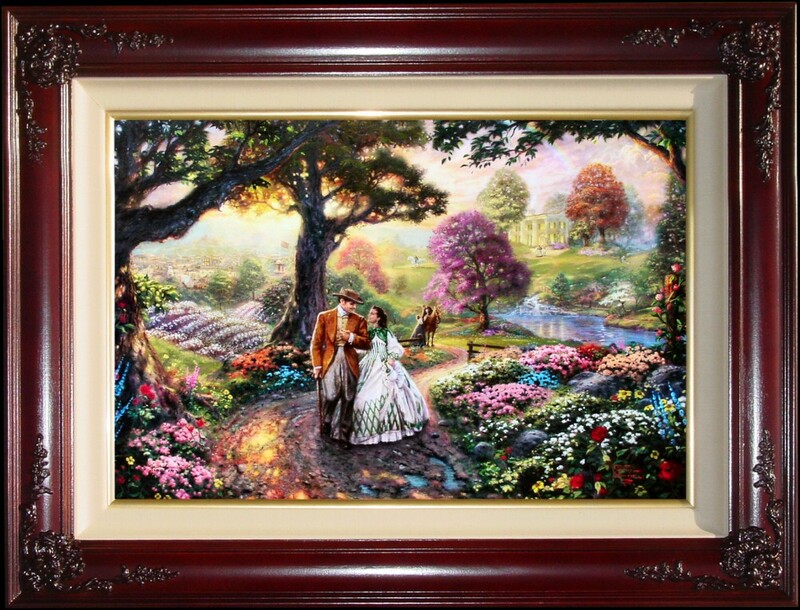 I truly hope this painting delights all fans of Gone With The Wind. Beyond this, I pray it reminds us all that true love does exist."